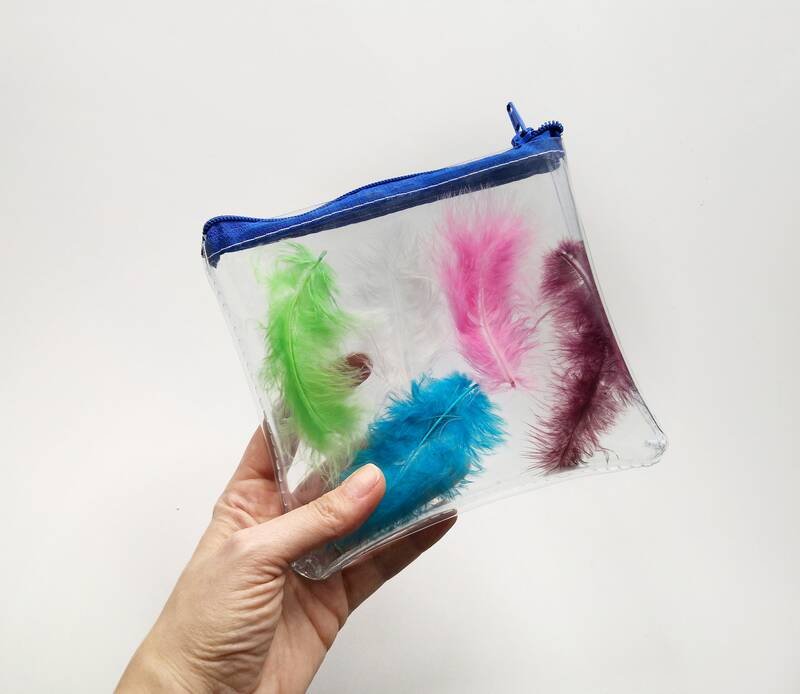 Cute make up bag made of colorless vinyl and pink zipper. 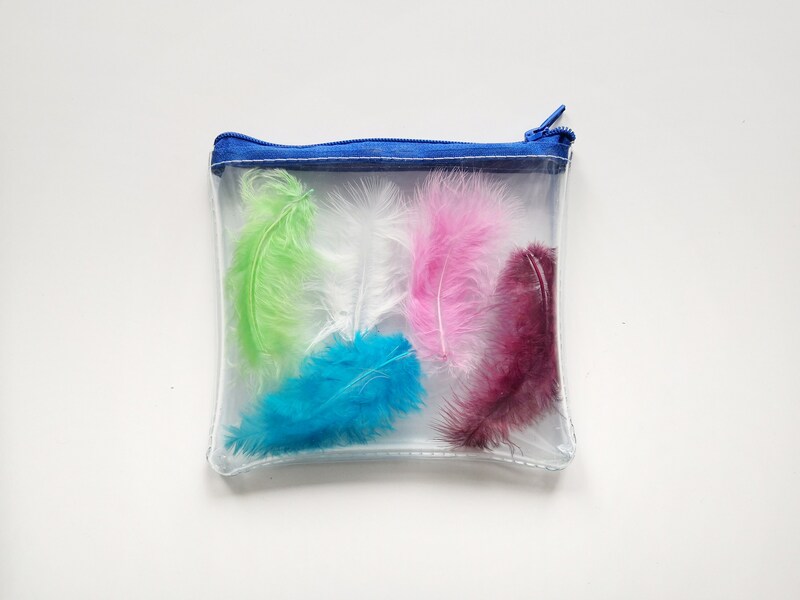 One side filled with soft feathers, the other one is transparent. 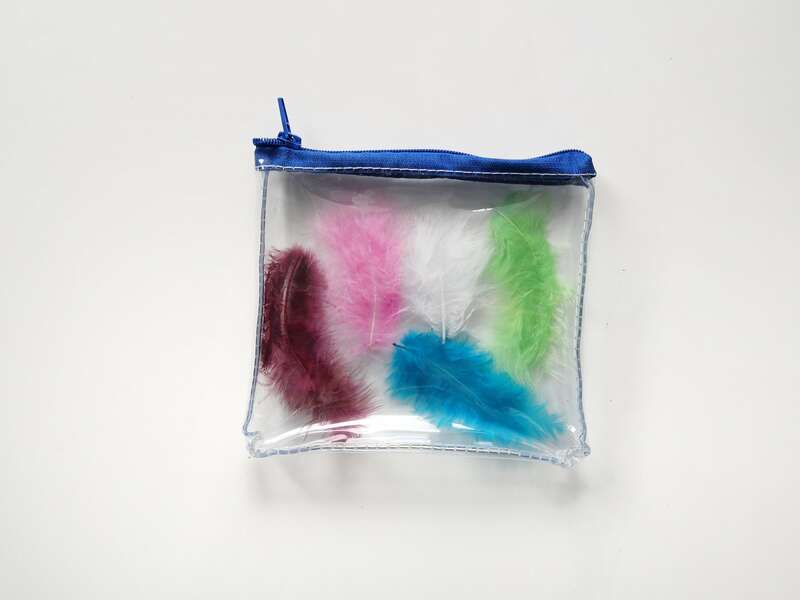 The part with feathers is made of stiffer vinyl, which gives the vanity case mold and state protection for hidden inside things. This is a premium product. Our vinyl does not have a violet or blue color.